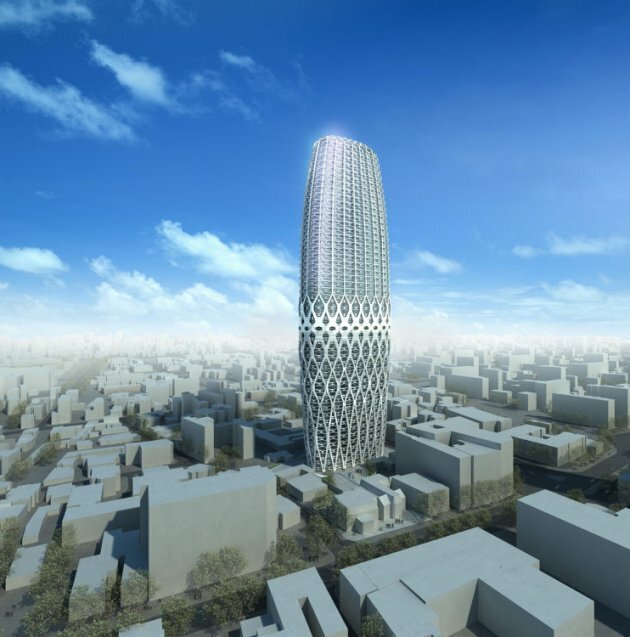 Zaha Hadid Architects have produced a design for the Dorobanti Tower in Bucharest, Romania. The 200 metre building contains a 5-star hotel, convention centre, and luxury apartments. 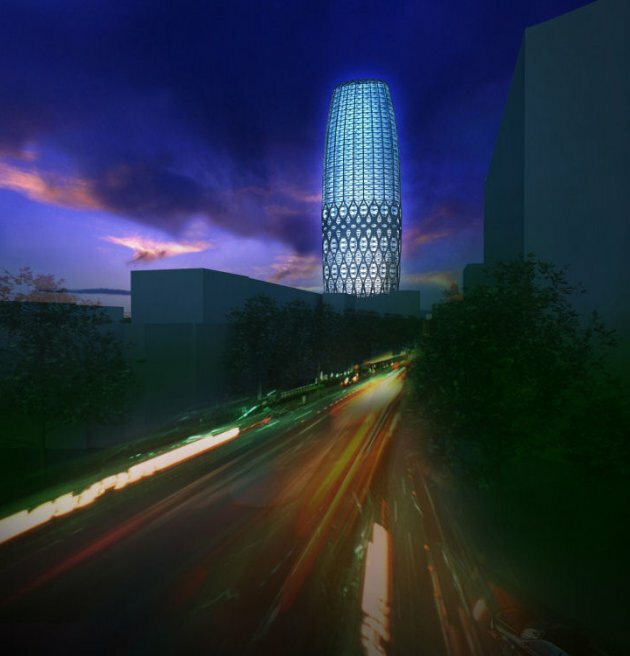 The Dorobanti Tower was designed to establish an iconic presence in the heart of Bucharest. 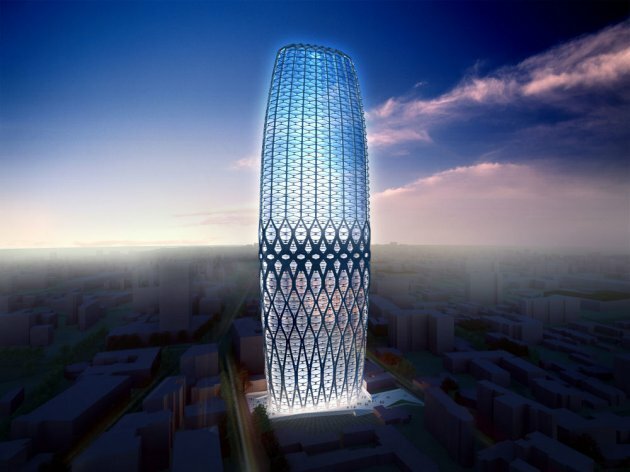 The new tower is a unique mix of a distinctive form, ingenious structure, and spatial qualities of sky-high living. The purity of its form – a chamfered diamond like structure – will be a timeless, elegant landmark in the centre of Bucharest. 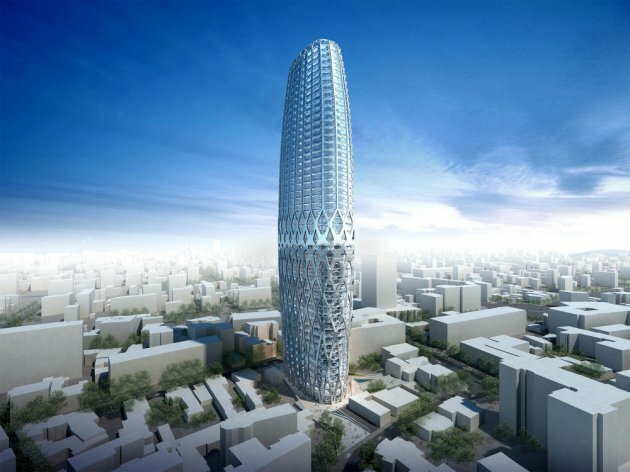 Zaha Hadid Architect’s design concept is a synthesis of architecture and engineering, which integrates a dis-tinct meandering structural mesh frame and naturally expresses the changing programme of hotel, amenities, and residential apartments. The site is located in the centre of Bucharest, to the west of Piaza Romana, and approximately 6km south of the international airport. The brief called for a 100,000 square metre mixed-use development at the junction of Calea Dorobanti and St. Mihail Eminescu. The project comprises 34,000 square metres of a 5-star hotel (including restaurants and a convention centre) and 35,000 square metres of luxury apartments. Additionally, the scheme offers lower level retail areas of 4,600 square metres and it delivers a generous allocation of public realm. This public area will be unlike anything else in Bucharest, representing a major attraction within the dense urban character of the City, offering an important new meeting space and urban plaza. 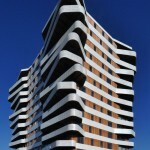 Visit Zaha Hadid’s website – here. Urban parameters, site constraints and the building programme generate the building’s elegant tapering profile. The unique building geometry responds to the urban structure of the city and creates a counterpart to the angular developments of the communist past of Bucharest. The new tower establishes a distinctive identity while avoiding sterile repetition through its dynamically changing appearance. The chamfered diamond shape tapers from the centre towards the top and the bottom. On top of the structure, the recess assures more sunlight and views for the surrounding neighbourhoods, while the offset at ground level creates public realm and an appropriate entrance plaza in front of the tower. 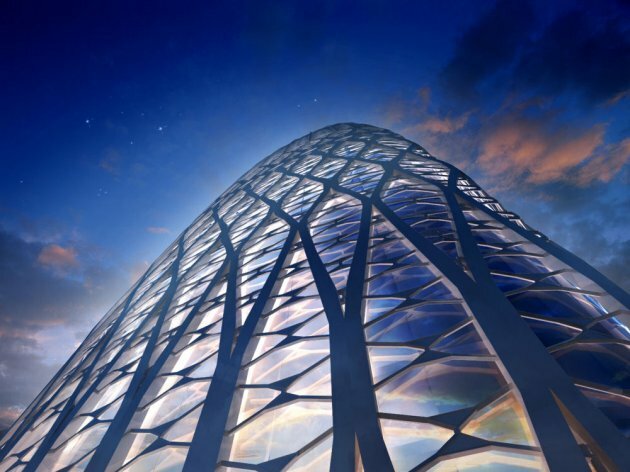 Concrete filled steel profiles follow in sinus waves from the ground level to the top of the tower, creating a distinctive identity and complementing the tower design. The concrete filling will give additional strength to the structure and it will provide fire protection to the steel profiles. The facade structure adjusts to the building programme and to the structural forces. 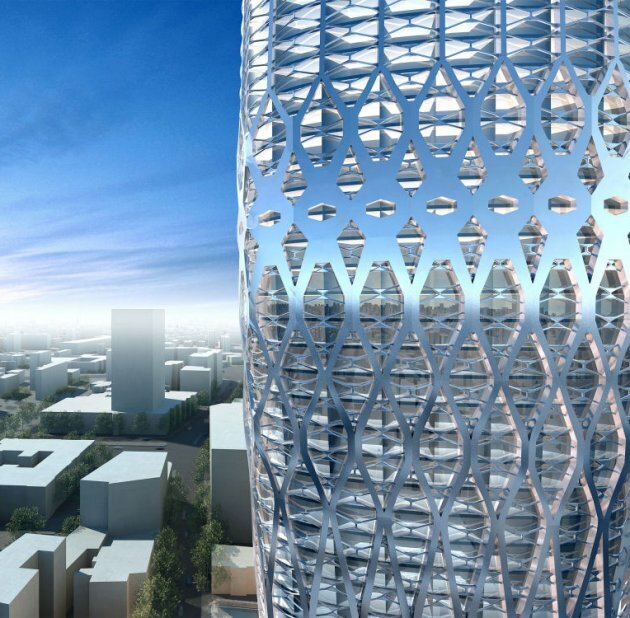 At the bottom, the façade grid has denser amplitudes according to the structural requirements for a tower of this height, providing the required load bearing capacity and stiffness to the structure. 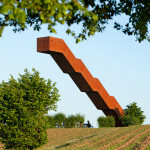 At the technical and recreation levels, the structure condenses creating almost solid knots. Additionally, the secondary structure supports the main steel frames. It also gives the 200m tower a human scale as the grid of the secondary frame structure reflects the floor heights. 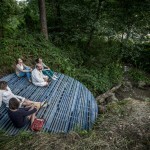 Furthermore, the secondary structure could be utilized to support additional glass panels as a shading device.